The title of the article might sound funny, irritating and amused. Even I would feel the same if I wasn’t the author. What is the triangular love story about? It’s definitely not a story like Mohenjo Daro directed by Ashutosh Gowariker, nor a Baahubali from Rajamouli or the future 2.0 from Shankar. It’s a true story (if believed) that time has hidden from everyone. It’s a tale of wonders and amusements. It’s a dream that can never be dreamt! Would any of you believe if I ever told, ‘the person who saved Ladakh in the 1948 Kashmir war is descendent of Greek? And the first Commander-in-Chief of India is also a Greek descendant. If you are prepared to read this unravelling story, ensure you are a believer of facts and faith and not history that has been changing overtimes! Let’s take our story into ‘Alexander’ times. Alexander III of Macedon is popularly known as ‘Alexander the Great’. His legacy has extended far beyond his military victories and capabilities. His name is carried over 2 millenniums and into the 3rd one. He has established several trade routes between the East and Europe, while brought the Greece culture and popularized it in the Asian continent. After the ‘Siege of the Sogdian Rock’ in 327 BC killing Spitamenes, and his marriage to Roxana, Alexander turned towards the Indian Subcontinent. 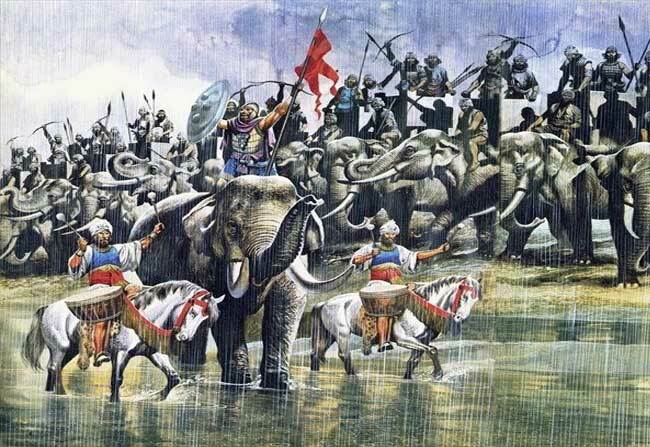 With support from the King Ambhi (also referred as Omphis), Alexander did manage to defeat the Porus, King of Pauravas in an epic battle, and conquered his empire that spanned between the regions of Chenab and Jhelum rivers. With a mere army of 20,000 infantry and 2,000 horses, Alexander knew it wouldn’t be possible to defeat the mighty Nanda Empire of Magadha. And incidentally, the army refused to march ahead to cross the Ganges. The Army General, Coenus pleaded Alexander to change his opinion and return back to Macedonia. He further stated, ‘the men would like to see their family, wives, and children. They are tired. They want to go back to their Homeland’. Alexander eventually agreed and marched south along Indus. 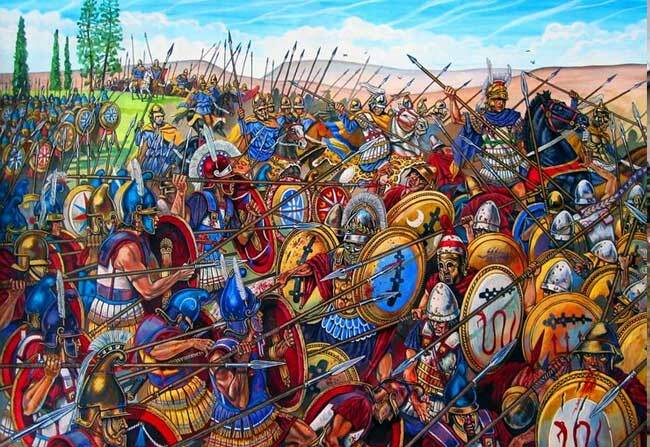 With traumatic events taking place within Alexander’s army and generals, few soldiers decided to stay back in a fear that they would be put to mass killing on the way to Macedonia. These soldiers over millenniums gradually moved towards the south, where they are known to have finally settled. Coorg in Karnataka is often identified where most of the Greek soldiers have settled, and coincidentally, the first two Army Generals of Republic India are from this region. There are many notable personalities from Coorg who served Indian Forces at the highest level. Despite being of the Greek descendent (or thought to be), most of the people in Coorg (or Kodagu district) follow Hindutva and celebrate all the festivals with glory and joy. With lush green hills, and coffee plantations the scenic beauty of Coorg is nothing short of a great visual feast. Women hold the highest authority in the house and are respected with utmost dignity and humility. They have a high degree of self-respect and go to any extent to live up to a promise made. It is heard that many families living Coorg dreaming of sending at least one child from their family to serve the Indian Armed Forces. They take it as a pride and instil the same in the children’s mind right from a very young age. Though many Histories and Theorizers oppose the theory that Coorg has a considerable number of Greek Descendants, their living patterns, culture, unmatched bravery surely remind the Greek culture. Their homes are often decorated with armour, artillery, swords and other war-related particulars. While linguists claim that, the Kodava language spoken by the people of Coorg is related to the Dravidian origin, they fail to explain the fact that, how few Greek letters and pronunciations became a part of their current day generation. Many other notable persons did grace the international and national stage from Coorg. It’s really fascinating to know how the planned invasion of Indian Subcontinent by Alexander, ended with Greeks settling down in Coorg, which indeed served the Indian Armed forces. 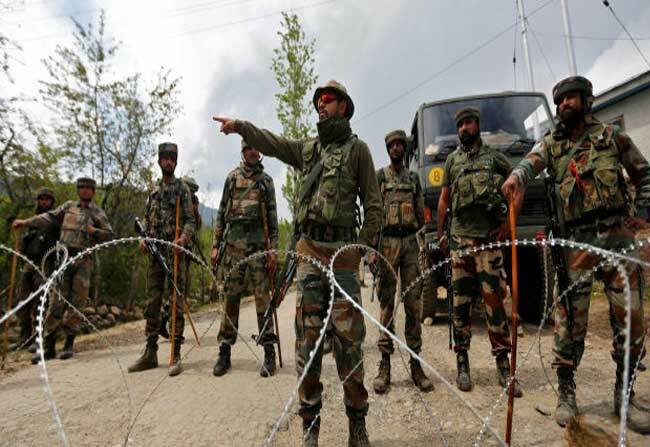 As an author, I did go through a lot of information before writing this article and it propelled me even learn more about the Indian Army Chiefs and Marshalls. While you enjoy reading this, I shall be enjoying finding more these great personalities!